Whilst I loved medicine, I also had a love for other vocations; journalism and architecture especially. This caused a great internal conflict for me. I believed to be the ‘ideal’ medical student, you had to initially be solely devoted to and have an unwavering commitment to medicine. Did the fact that I was questioning my decision mean I was not dedicated enough? The actual application process was such a whirlwind. I was fortunate enough to have received a few offers in late January and therefore made my firm and insurance choices quite early on. I think it’s important to remain grounded and remind yourself why all the effort you’re putting in – whether that be for entrance tests or interviews – will be worth it. I had loads of support from my friends and family which gave me a sense of reassurance, however I still feel that the best support and motivation comes from within. Don’t compare your application to anyone else’s – being unique is what will make you stand out and to be unique you can only be yourself! Results day was bittersweet for me; I was overjoyed by the fact that all my hard work had paid off and a dream of mine would be coming true. At the same time, I couldn’t help but wonder if I’d made the right decision – was making such a big commitment to medicine at 18 right the choice for me? I felt as if I was signing my adolescent years away in hopes of someday becoming a doctor. Very dramatic, I know! After my first year at Imperial, I’ve realised this is simply not the case. In an introductory talk during fresher’s week, we were told that each of us were unique and individually chosen to be part of the first-year cohort, and it would not be the same without us. This may seem obvious, but it wasn’t to me at the time. Now, retrospectively speaking, I can appreciate this so much more. It’s the distinctive combination of qualities that you have that will make you a good doctor. There is no ‘ideal’. As someone who grew up in London but did their A-Levels in Cardiff, coming back to London was nostalgic yet exciting. Moving in day was a blur; I seem to only recall going to the mingle that evening. 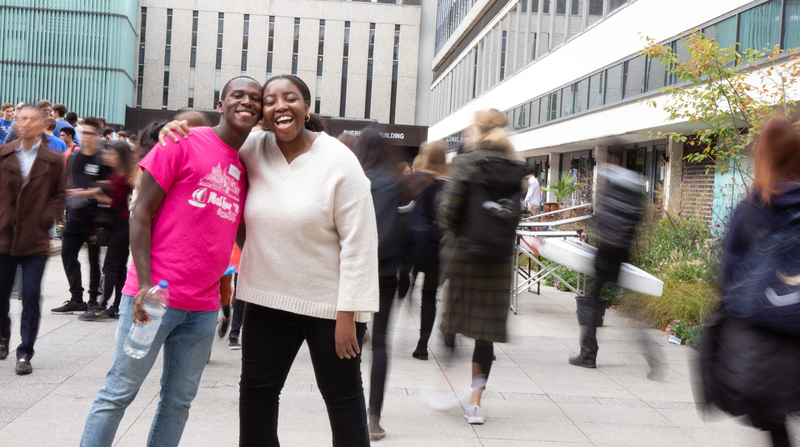 However the friendly atmosphere of campus really eased the process of settling in, and with the support of Imperial College School of Medicine Students’ Union I felt at home in no time. Black and minority ethnic (BME) students make up a third of the intake to UK medical schools, however only 3.3% identify as black. As a black student, I knew I would be a minority at medical school. Joining the Afro Caribbean Society was a highlight of my first year. I’ve met some amazing people that I could relate to and had new, enriching experiences with them. 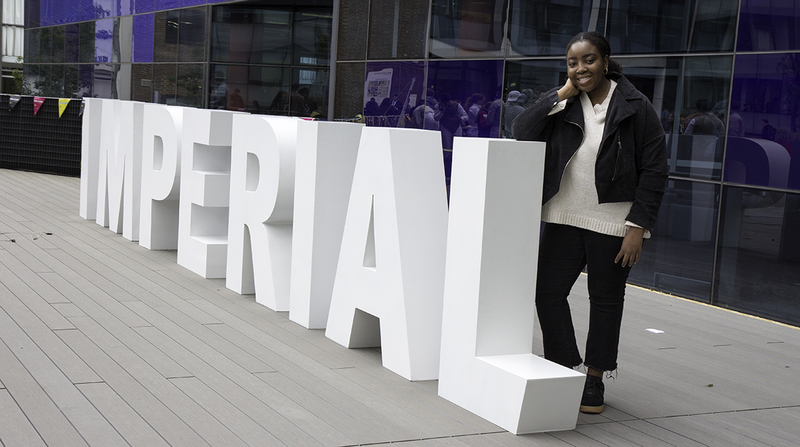 I know many prospective applicants may worry about fitting in because of their background, but I can reassure you: It doesn’t matter who you are or where you’re from, Imperial is a very welcoming place. London is extremely culturally diverse – a ‘melting pot’ as they call it. You have opportunities to embrace different cultures in different parts of the city and experience things you may not have before. Looking back on first year, it was the best year of my life so far. I’ve learnt fascinating concepts and taken on more information than I ever imagined possible in such a short period of time. I’ve made friends who I feel like I’ve known for ages, well at least not a mere nine months. Naturally with the highs come lows, and it’s all too easy to feel as if you’re not doing enough or you aren’t capable. It’s important to remember you wouldn’t be where you were if you did not have the potential that was recognised in you. I’ve still followed my interests outside of medicine in architecture and design, that I once thought would not be possible at medical school. Interestingly, my passion for medicine has grown with time and continues to as I learn more and experience new things such as anatomy. The one thing I want you to take away from this is that you shouldn’t let fear hold you back. Being apprehensive or uncertain is not uncommon, but this shouldn’t deter you from following your passions. I once read somewhere that change only happens outside of your comfort zone – I definitely believe this is true. 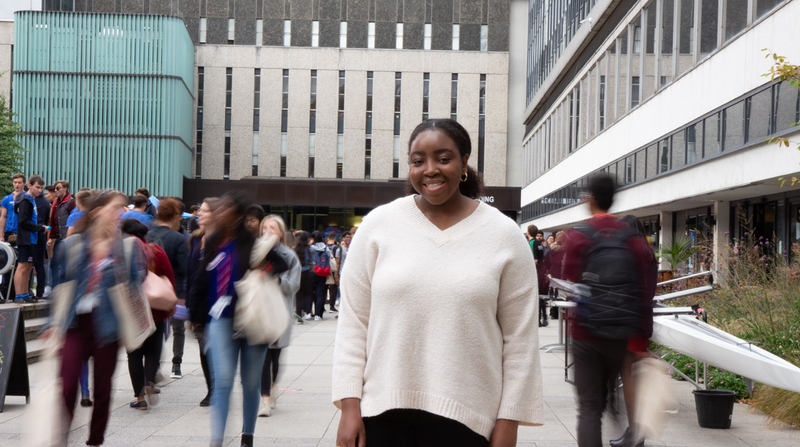 Yasmin Adelekan-Kamara is entering her second year of the Medicine (MBBS) course at Imperial College School of Medicine. Read more posts about studying at Imperial College School of Medicine. UCAS applications for 2019/20 entry to Medicine close on 15 October.